We invite parents to stay with their infants or younger children during an initial examination, as well as any future visits. We look at this as a team approach in overcoming apprehension, gaining your child’s confidence, and providing the safest environment through positive affirmations. We find that once we establish a certain comfort level, many children feel comfortable in coming to the treatment area by themselves. We also feel that children do better by themselves if they require treatment. It is our goal to make this a great experience. For the safety and privacy of all patients, other children who are not being treated should remain in the reception room with a supervising adult. 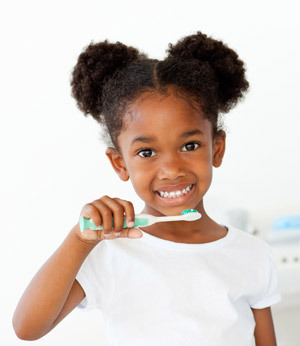 Our dental staff tailor behavior guidance and management techniques based on your child’s level of comfort with us. We use various techniques to establish positive communication and ensure a happy and comfortable environment. Tell-show-do: A verbal explanation of the dental procedure on an age appropriate level, followed by a demonstration, after which the procedure is completed. Nonverbal communication: Reinforcement and guidance of behavior through appropriate physical contact, posture, facial expressions and body language. Positive reinforcement: Awarding good behavior with verbal praise and rewards. Distraction: A technique that diverts the child’s attention from what he/she may perceive as unpleasant. It can involve taking breaks throughout a procedure if needed.